There’s something I need to tell you. It might shock you, but the truth is the truth. Okay, so there are certain guidelines against misconduct and attacking your opponent. But other than a few procedural and technical statutes, debate is mostly a blank canvas where you can paint virtually anything. 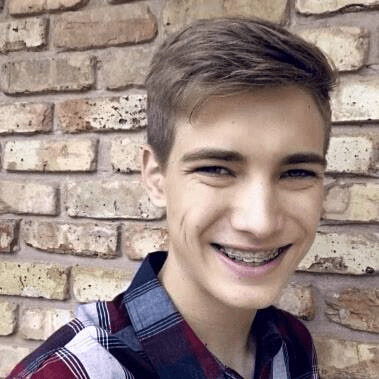 The problem is, far too many debaters communicate within a limited scope of ideas that not only hinders their debating, but also stunts their personal growth. That’s why in my next few posts I’ll be taking a look at some of these arbitrary limits, beginning with the idea of Topical Counterplans (TCP’s). Now, I know that topical counterplans are a very controversial topic, and I actually don’t think that they’re always a good idea. In most cases, I would much rather watch a team dismantle a case with a typical neg strategy than watch a theory-centered counterplan debate. Instead of being totally for or against, I’m more of the mindset that there’s a lot more gray area than most of us are willing to admit. In other words, the legitimacy of TCP’s is up for debate; and we as debaters should allow that debate to happen. The thing is, we don’t need to be afraid of TCP’s, and we definitely shouldn’t see them as a totally non-viable option. Contrary to popular belief, topical counterplans are actually 100% defendable, and (if debated well) can sometimes be the best strategy against a case. 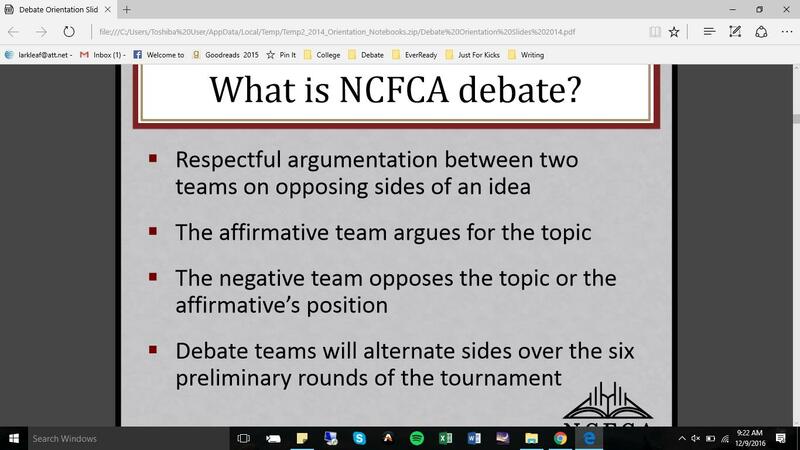 Disregarding any actual rule limitations (we’ll get to those at the end), topical counterplans don’t go against any “fundamental principles of debate”, and by excluding them from our list of possible options, we limit the debate before it even begins. So how are topical counterplans so defendable? Here’s a breakdown of the main arguments for them. In every argument or discussion, the majority of people judge things based on their own personal frame of reference. If you can shape your audience’s frame of reference, you can shape their thoughts. In policy resolution rounds the typical frame of reference says that you and the affirmative are two debate teams arguing to get a check mark on a ballot based on who made a better case for the said check mark. And while this is literally true, it misses what debate rounds are supposed to simulate. The first thing to note is that in policy rounds the judge is pretty much always acting as a body of government or authority. In most cases, that authority is congress. You, on the other hand, are acting as an advisor. You’re the one advising Congress (or whatever governmental body AFF happens to be using) on what decision should be made in the real world. So what happens in this situation in the real world? Well, Congress would vote for the plan that gives them the best outcome or world. In the same way, this is how debate rounds should be judged. Congress hopefully would never vote for a policy just because it had the best speaker behind it, and, likewise, debate judges shouldn’t either. Instead, whichever side provides the best future for the acting government’s nation should win the round, just like it works in Congress (or any other governing body). What does this mean for Topical Counterplans? Well, in any given round, the judge can obviously either vote aff or neg, and we’ve already established that the judge should side with whichever team provides a better future. So, if negative provides a better future that’s within the resolution, they’re still fulfilling their job as an advisor to Congress and the judge can very well still vote for it. One of the main arguments against topical counterplans is that the debate round is about whether or not the resolution is true, not which side presents a better case. Because of this, the argument goes, topical counterplans simply prove that the aff should win, by proving the resolution true. This couldn’t be further from the truth. Debate rounds shouldn’t ever be about whether or not the resolution is true or false; instead, they should be decided on which side presents a better case/world. The basic premise of every policy based debate round is that a policy action will be taken if the judge votes affirmative. After all, that’s why the affirmative can claim an advantage to their case in the first place. Because of this premise, no matter what, when the judge votes aff, something will happen that will have some pretty far reaching effects. Knowing this, it would be completely irresponsible to ignore the plan and only look at whether or not the resolution is true. Voting affirmative just has far too many important real world effects to ignore. Instead, we should debate about and decide on the plan first and foremost. If every round was decided on whether or not a resolution was true, the affirmative would basically always win, because they could just run as many cases as humanly possible and then use the ones you inevitably drop to prove that, somewhere and somehow, the resolution is true. In a world where the debate is solely about the resolution’s validity, in order to win negative, you have to prove the resolution wrong in every possible instance, not just one. A few weeks ago I was coaching a debate club and had the sudden urge to leave and go get some food. So, naturally, I suggested to a few of my friends with cars and licenses that we do so as soon as possible. The resolution? We should leave club and go get something. The plan? Go to whole foods and buy some pizza. Obviously, no one in the group could argue that leaving club to get some sort of nourishment was a bad idea because everyone was tired and hungry and to do so would be social suicide. Despite this, no one ended up voting for my plan. “Why?” you ask. Well someone else countered with the idea of getting ice cream instead, and everyone immediately decided that that was a much better idea. A topical counterplan was run successfully, and no one even noticed. In everyday discussions and arguments, topical counterplans are allowed. Even on the governmental scale, senators propose topical counter policies all the time. Why should we take such a natural part of discussion out of debate? One of the things I’ve always loved about topical counterplans is that in order to win with one, you have to beat the affirmative team on their own turf. If you have a solid TCP, it means you’ve researched their resolution, their goals, and their limitations, and you’ve somehow found a better way than they did to solve their problem. Bravo. The problem is, if topical counterplans aren’t allowed in debate rounds, then halfway baked solutions seem like the real deal. Teams are rewarded for finding a problem, but not for fully studying and solving it. This hurts both the educational and competitive aspect of debate rounds, because it allows half-baked ideas to win and well-prepared teams to lose. So, if topical counterplans are defendable and debate is about the case, why do we even have a resolution in the first place? You never hear a team get up and say “The US’ policy towards China should be changed. There are 3 main reasons for this.” Instead, teams are always talking about reasons behind their specific case. Why? As we’ve already talked about, the case is the main subject of debate, not the resolution as a whole. Instead, the resolution acts as a sort of boundary as to what the debate is going to be about in the first place. It allows the negative team to prepare and gives the affirmative a chance to become an expert on the topic as a whole. It doesn’t, however, act as the sole topic of discussion itself. Before you go about spreading magical topical counterplan joy throughout your respective league, there are actually a few guidelines and policies that you should know about. STOA is definitely the most problematic league for TCP’s. Let’s take a look at the TP guidelines first. Though this rule is much stronger than the NCFCA rule (we’ll take a look at that next), it certainly doesn’t limit you from running TCP’s legitimately. If it’s the job of the affirmative to uphold the resolution by providing a legitimate policy option, and you show a better policy option, then they have been unsuccessful in their job and you as the negative should get the ballot. Essentially, if the affirmative is not successful because the negative has demonstrated an alternative reason to uphold the resolution, then the negative could certainly deserve the ballot. That being said, I wouldn’t run a TCP in STOA if you’re not 100% comfortable explaining that to a judge should the issue arise. Thankfully, STOA parli rules are much simpler to deal with. In this case, all the rules say is that the government team needs to affirm the resolution, or in other words choose a case. Nothing is said about the opposition’s job, so you’re free to debate as you please. Just explain to the judge why Topical Counterplans make sense, and you’re headed for the finish line. Unfortunately, the NCFCA recently redid their website and I can’t seem to find anything on it (including the JO slides). Thankfully, Anna Johansen (an ethos blogger) had the old slide saved in a slideshow somewhere, so we can still take a look at that. Although I can’t say for certain if this is the exact slide your judges will be shown in the 2016-2017 season, it is the most recent one we have access to as far as I know. This one is the easiest of them all. It says that as negative, you can either oppose the topic or the affirmative team’s position. With topical counterplans, you’re doing the latter. You’re still fulfilling your job as negative. Instead of excluding topical counterplans from our arsenal we should welcome them as a completely viable option. They aren’t illegal, they’re not morally wrong, and they definitely aren’t always an easy win for affirmative. In fact, if you run your topical case well, you can very easily defend and win with it. Topical counterplans are debatable either way, and we as debaters should allow that debate to happen; both in and out of rounds.